Football Manager 2017 is a complex game full of different systems, so it’s only natural you’ll want to give it a little test before slide tackling in with a purchase. I mean, Football Manager 2017 even simulates Brexit, and nobody would want to commit to something like that without seeing if it works first. For more pouring over stats, check our list of the best strategy games. The Football Manager 2017 demo is available to download free on Steam for PC, Mac and Linux right now, if you fancy your chances. Downloading it gives you access to six in-game months as you try and steer your team to glory, and if you decide to buy it you can carry on their story with the full game using the same save. 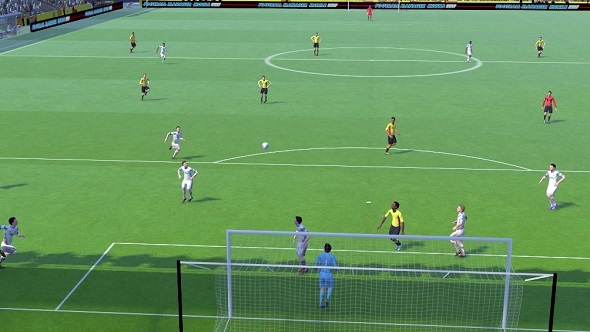 Check out our Football Manager 2017 player guide to bolster your team with top-tier talent. We also have a good list of players to sign on a free transfer, so you’ll hopefully end your six-month demo with a solid footing. Yes, that was a pun.